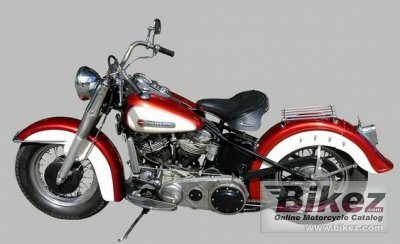 1949 Harley-Davidson EL. Picture credits - barrett-jackson.com. Submit more pictures. Engine details: Knucklehead V-twin engine. Hydraulic valve lifters. Wheels: Wire spoked. Firestome or Goodyear tyres. Ask questions Join the 49 Harley-Davidson EL discussion group or the general Harley-Davidson discussion group.